OK, I've finally got some time to pass along some of my notes and thoughts on the Tuesday night land-use forum. I already covered my introduction speech in the previous post. Unfortunately, the Powerpoint presentations do not seem to be posted yet, but should show up at some point here and/or here. The Houston Politics blog at the Chronicle had some coverage here and here. Titled his talk "Have our cake and eat it too," meaning we can have both new development and neighborhood protection. Not for zoning, but for "stakeholder-based negotiated planning" and "sector and corridor form-based plans"
2/3 of all the built environment in 2030 will be built between now and then (including replacements of existing structures). By 2040, 600K new housing units built inside the city of Houston (not metro), totaling around $500B. Moving towards 75% of our adulthood without children. 88% of growth in households will be without children. This shifts the attractiveness from suburban to urban environments. He thinks the solution is to redevelop arterial shopping centers with large parking lots into 4-5 story mixed-use developments - still with plenty of parking spread among streets, garages, and underground. In Q&A, he noted that most of the suburban cities around Atlanta essentially ban attached structures (apts, condos, townhomes, etc. ), which is very exclusionary. Good that we don't. Also in the Q&A, he was asked if the free market was building density anyway, why was a form-based code necessary? Answer: to make it compatible with the neighborhood. I understand the appeal of mixed-use to residents. It's first-floor retail that's the problem. They need to have convenient parking, or people will just drive down the street to a competitor that does. And the residents themselves are usually not enough to support most retail (except for very basic services, like convenience stores, dry cleaning, maybe a deli, etc.) - it must be able to draw driving customers. Joel tells me that in many places mandating mixed-use in LA, the residential fills right up, but block after block has empty retail space - which means those residents are still pretty much driving everywhere. Basically devastated smart growth approaches, which predicted price decreases because of lower projected infrastructure costs, but have actually created spectacular price increases and unaffordability everywhere it's been applied. Showed that the American Dream of suburban homeownership is actually a global aspiration, including all over Europe and Asia. Showed a high correlation between high land-use regulation and low job growth. A person can save $1 to $1.5 million moving from CA to Houston (house price plus financing costs). I've certainly seen many more CA license plates lately. Notes all the unsubsidized density being built by the market in Houston, vs. the large subsidies required to get density built in Portland. Advocates responsive instead of prescriptive planning. Let the market choose how it wants to live, don't force it. In Q&A, he said that planning/regs like DFW and Atlanta would have an unpredictable impact on the dynamic environment in Houston, including the potential of much more unaffordability than has been created in either of those metros (something I've also argued before on this blog). Does not advocate zoning or growth boundaries, but believes we do need a plan. Carbon and climate change argument for reducing driving. As I've said before, I think the personal vehicle is here to stay, regardless of what energy technology it runs on. And I think that technology will evolve much faster than we could ever rework our cities into dense, transit-focused ones. Plug-in hybrids that use almost no gas are already on their way. He disputes that Houston was built around the car. He is technically correct about the very core of the city built in the 19th and early 20th centuries. But the vast bulk of the city, built since WW2, was definitely built around the car. Notes that we do have plenty of regulations already, especially Chapter 42 that divides the city into urban (inside the loop) and suburban (outside 610), and that many of these regs don't make much sense these days. We need to allow the choice of dense living without requiring variances. Agreed. Showed a map with 55 transit-oriented neighborhoods around the light rail stops. Pointed out that our strong mayor is essentially the "chief planner" for the city as it currently stands. Pointed out that our infrastructure, including highways, is some of the most fully utilized in the state (i.e. operating closer to capacity). Transit usage in Houston has been flat for decades, stuck at around 5% of commuter trips and 1% of all trips. He believes many people have unrealistic expectations of it growing much beyond that. Warned against planning out too far, beyond our knowledge of how markets and preferences will shift. He said if you compare the old zoning plans that voters rejected way back with the city today, you'd laugh at how far off those plans were. Equated "real quality-of-life" with the basics he worked on like police to reduce crime and basic infrastructure like sidewalks ("neighborhoods to standard" program). Government can't effectively tell people what to develop. Government planners are not creative or innovative - a "no mistakes" mentality. Free market = affordability. Believes Ashby is a negative outlier in the free market, but that there would be just as many - if not more - issues and problems under a centrally controlled system. Believes people are pushing "backdoor zoning" right now, and he is opposed to the "horrible" traffic and curb cut ordinances. Overall, it was very cordial, with a lot more agreement than I expected. I like the idea of an alternative to Chapter 42 for areas around the rail stops (mixed-use up against the sidewalk, with less and hidden parking - but I don't think a full-blow form-based code is needed). But I'm not sure it should be required around those stops - certainly not at all 55 of them. Make it a developer option (no variance required), and see what they build that the market can support. Maybe it could be required at a handful of stops with the most potential, but then we have to monitor how they develop. If those required regs freeze the development market around those stops, then they'll need an overhaul. On the other had, if those stops thrive because of the "increased predictability" for developers and residents, then the requirement could be spread to others relatively quickly. The goal is to create attractive density that doesn't generate as many new car trips. I don't know if that's really possible, but it couldn't hurt to try in a few well-targeted places. Meanwhile, keep letting the rest of the city redevelop as it has been. For the most part, it's been very good, and let's hope it continues despite this national slump. Update: David's post, including links to two of the presentations. He doesn't like my characterization. I'll admit I just took notes on the points that jumped out at me over 2 hours, so they're certainly not comprehensive - but I tried to be as fair and accurate as possible in my recollections. Just got back from the land-use forum at the GRB downtown. Overall I think it went pretty well. Good turnout too. Maybe 500+? I have a lot of notes I'll try to boil down into my next post, along with links to the presentations when they put them up (should be videos at some point too). But I'm tired and it's late tonight, so I'll just post the core of my intro speech, subtracting out all the "thank yous" and sponsor details. Sorry if it reads a little odd in written form - I wrote it for speech, with my own pauses and emphasis. Now they asked me to “set the tone” for the evening. If I understood correctly, I think what they’re looking for is something like the “Jerry Springer” TV show… maybe we can even get a little chair-throwing going… Just kidding folks. More seriously, what we’re hoping for is not so much a debate as a civilized dialogue on different approaches to dealing with the tremendous growth happening in our city. That civilized tone includes laying off the “good-guy/bad-guy” characterizations of either planners or developers. I’ve met a lot of planners, and they’re generally good people with good intentions trying to create good outcomes in the face of conflicting demands and incredible complexity. And let’s not forget that developers are not only building what people want – and that increased supply in the face of rising demand helps keep our city affordable – but also that the enhanced tax base they generate contributes millions of dollars towards schools, parks, police, libraries, roads, flood control, and other city services and desperately-needed infrastructure renewal. Every dollar they create is a dollar the rest of us don’t have to pay for those amenities. To set the context of tonight’s discussion, when you hear the term “planning” thrown around, what we’re talking about here is land-use planning – what owners can and cannot do with their land – not infrastructure planning like sewers, water, roads, or flood control – which everybody agrees is absolutely necessary. In most cities, land-use planning is accomplished through government-controlled zoning, which Houston voters have rejected several times in our history. Instead, we’ve used voluntary deed restrictions to protect neighborhoods. Both systems have had mixed results of pros and cons. One issue we face is: can deed restrictions be streamlined and improved to address neighborhood concerns, or do we need to pull some or all of that power out of the neighborhoods to some sort of city-wide governing entity? Other terms you’ll probably hear tossed around tonight include “quality of life,” “quality of place,” and “livability”. Unfortunately, they’re slippery terms. Ask a 100 people what quality of life means to them, and you’ll probably get a 100 different answers. Usually they’re referring to things like parks, open space, clean air, walkable neighborhoods, and aesthetics like trees, landscaping, and attractive development. All good stuff. Affordability is not usually part of the definition, but in our Opportunity Urbanism study, we pointed out that affordability not only enables the American Dream of home ownership for the middle class, but also frees up discretionary income for urban vibrancy and amenities like restaurants, charities, shopping, sports, entertainment, higher education, small business entrepreneurship, museums, arts and culture – all of which not only constitute good “quality of life” for a lot people, but also help attract jobs and talent to our city. A good city has a diverse range of neighborhoods and environments – at all price ranges – so people can find the one that best matches their personal definition of “quality of life.” One-size, in this case, does not fit all. My final point and we’ll move on to the panel. The Center for Houston’s Future recently brought a panel of national experts from the Urban Land Institute to Houston for several days to study our city and make recommendations. It may or may not surprise you to hear they were impressed – impressed to the point of asserting that we’re well on our way towards becoming the fourth great global city in America, after New York, Chicago, and LA. They noted we were achieving that critical mass due to several factors, including our incredible affordability (especially housing), the opportunities of our job growth, our limited constraints on development (they were not in favor of traditional zoning), and our strong core with people moving in as well as a growing tax base (as opposed to “donut cities” found elsewhere, with a stagnant or weakening core relative to their suburbs). They even noted the importance of our optimistic spirit and generally positive attitude towards growth, an attitude not found in many other major cities. That attitude makes us more tolerant of the dynamic, eclectic, ever-changing development and density necessary for that growth. Careful preservation and cultivation of that positive attitude will be critical to achieving our potential among the world’s great cities. There will be a dialogue/debate on Houston land-use regulation at the George R. Brown this Tuesday evening Feb 26. David Crossley, Arthur Nelson, Wendell Cox, and Mayor Bob Lanier are participating, and yours truly will be giving the introduction. More info and RSVP here. Hope to see you there. NYT on the slowdown in exurb homebuilding in Texas, with a focus on a small town outside Dallas. The state is still booming overall, but the mortgage credit crunch, especially at the low end, is hitting builders on the fringes hard. "Regarding recent proposal that Houston needs rail to the airports "because all world-class cities have one", it should be noted according to a study done some time ago that the most heavily used airport rail in the country was Reagan National (Wash DC) where 11% of departures/arrivals used rail. All other cities were under 5%. Nobody except maybe visitors to downtown want to schlep their bags on a 15 mph rail ride to the airports." I agree, and I've said before that the market here is a niche one plenty well served by buses: young singles who can't get a ride to the airport. Business travelers will almost always rent a car or take a taxi. Families won't schlep their luggage on transit. Most others will have friends or family pick them up or drop them off. And our off-site airport parking is dirt cheap. The ridership drivers just aren't there. Houston has been ranked as the #3 most underrated city in the country, behind Baltimore and Ft. Lauderdale. Hat tip to HAIF. We've also been ranked by Forbes #7 on their "Best Cities for Jobs" 2008 list, along with Austin, Ft. Worth, McAllen, and San Antonio. Texas is definitely hot. Hat tip to Joel. A great picture of dynamic Houston development from HAIF. "He believes there are “enormous government subsidies” for driving. In fact, in 2005, the subsidies to the 4.4 trillion passenger miles of driving were $17.9 billion, or less than 0.4 cents per passenger mile. By comparison, the subsidies to the 47 billion passenger miles of transit were $29.4 billion, or 62 cents per passenger mile. Subsidies to transit have outpaced subsidies to driving for decades, yet transit still makes up only about 1 percent of passenger travel. Somehow, I suspect that if 0.4-cent-per-passenger-mile subsidies had as much influence on American travel habits as Nozzi presumes, then 62-cent-per-passenger-mile subsidies would be even more significant. But they haven’t been." "Please go to this web site and vote for Houston (Children's Memorial Hermann Hospital) to get a new hospital playroom from Colgate. It is an easy process and would benefit so many of our children who spend their time at the hospital. Send it on to all you know and see if we can't win this for the kids. Thank you so much for your help with this." When I last checked, we were barely in first place, with Detroit coming on strong. You can vote every day, so just keep it open in a browser tab. I may have mentioned before on this blog that I'm somewhat of an amateur follower of the airline industry. In that vein, I thought I'd throw in some material about the rumored Continental-United merger that is expected to follow a Delta-NWA merger announcement. Some of you may even remember an op-ed I wrote in the Chronicle five years ago calling for exactly this merger when United declared bankruptcy. It's been well covered in the Chronicle, including this story on the headquarters issue: Houston or Chicago? The Airliners.net forums have discussions on the issue here, here, and here. Most of the sentiment seems to be that Houston will probably win out - not only because of a friendlier and more affordable business climate, but also because Continental's management team is widely considered the stronger of the two (especially by Wall Street): it's easier to cherry-pick the UAL management stars and move them to Houston than try to mass-move CAL management to Chicago. And it probably doesn't hurt that UAL CEO Glenn Tilton has a history in the oil biz. There's also someone claiming to have inside information that both the Continental brand and Houston headquarters will stay. I know you have to take what you read on the internet with a grain (or a shaker) of salt, but he sounds credible. Q: So what do you think about a combination of Continental and United? A: If this were a chess game, then ... Continental taking over United would be called checkmate, end of game, home run, it is all over. When you put these two companies together with their route networks, you've got the Pacific, you've got the West Coast, you've got the Midwest, you've got the Southwest, you've got the East Coast, New York, Europe and Latin America. You are all around the world. You are a really good company. You can compete with Lufthansa, British Airways, Singapore Airlines, it doesn't matter. You are a powerhouse. That is what this country needs, is a couple of those. If you are going to compete globally, and Open Skies is going to make it a global marketplace, you better have global reach. What would be so wrong to have the biggest airline in the world right here? Future mayoral candidate Bill King's recent op-ed calling for free transit has generated a flurry of responses from Rad Sallee at the Chronicle, reader letters, and a Christof and Carroll Robinson op-ed. There was some confusion that Bill might be calling for free transit instead of rail, which he was not (Rad apology here and here). I remember pitching something similar to the Berry campaign years ago when I learned how little Metro recovers from the farebox (17% recently). If we could go back in time to before the 2003 rail referendum, I think this option would deserve a healthy debate as an alternative to the rail plan. Imagine if all that rail money had been poured into frequent free bus and shuttle service all over town, helping develop a real "transit culture" in this city. As it is, I think we're pretty locked-in to the rail plan at this point, and Metro will need most of that money to make ends meet. But a more targeted "free" service may make sense. Metro is a public agency subject to the will of the voters. It started out as subsidized alternative transportation for the poor and disabled. Then people wanted commuting alternatives (the HOV buses). Then they wanted local rail. Now, given the local boom of $100 oil, they'd like to see some freeway congestion reduction by attracting more riders out of their cars. Metro's downtown commuter service is quite successful, helped by high parking costs and employer subsidies (recently a little too successful: the Park-and-Ride buses are full). But my impression is that their commuter services to the Med Center, Greenway, and Uptown are less successful, probably due to a combination of less frequent and less convenient service as well as free parking by most of those employers (TMC excepted). On a full-cost basis, including depreciation, commuter buses are a bargain vs. driving. But a lot of people just look at the cost of gas vs. the commuter buses (a few dollars each way), and it looks like a wash - or even cheaper to drive. We need to tilt that equation more strongly towards the HOV commuter buses. I think that means not only more and better service, but maybe lowering the price - potentially all the way to zero. Those three job centers total up to roughly twice as many jobs as downtown, so moving a significant number of those commuters to transit could make a noticeable impact on congestion. If necessary, we might look at some sort of fee for employers in those districts to partially cover the subsidy costs. Maybe a property tax surcharge, through the special districts, or maybe a per-parking-space tax. I don't know the political feasibility of something like that, but I do believe greater commuter bus subsidies to non-downtown job centers will draw more riders and improve our rapidly deteriorating traffic situation, while costing Metro a lot less than universal free service. Addendum: Christof recently posted eight excellent common-sense suggestions to improve transit. A very good read. Let's hope leaders at Metro and elsewhere are paying attention. The ordinance being developed to target the Ashby high-rise is making no one happy, so they're looking at a delay of many months to rework it. In the meantime, the city will pull out a 69-year old driveway permit law giving a city engineer power to block it. Sheesh. Talk about striking fear and risk into the hearts of developers. Pay big money for land and plan a development, but if important people hassle the mayor enough, a city bureaucrat will find an arcane regulation to shut you down. This is not a healthy situation. I've stated before that I think the Ashby situation has been blown way out of proportion by the neighborhood. Plenty of very high-end neighborhoods in Houston have very tall residential towers next to them with no problems at all (including River Oaks). And from the analyses I've heard, it would add less than 1% to Bissonnet traffic. A weak argument indeed. That said, there seems to be a general clamoring for "neighborhood protection" from citizens, and for predictability from the developers. This situation needs to be defused before laws with some really bad side effects get passed. And it needs to be simplified and objectified too. Some of the language I've heard proposed for the ordinance is arcane in the extreme, involving detailed calculations and "traffic studies" with plenty of room for bias and subjectivity. Most people seem to agree high-rise towers don't belong on small streets in single-family neighborhoods. In Houston, we have an arterial grid (roughly) that tends to have commercial on the arterials with residential behind, in the interiors of the arterial blocks. It seems reasonable to restrict anything over 6 stories high (a typical apartment complex, 4 floors on top of 2 levels of parking) to fronting major arterials. This seems to strike the right balance of allowing densificiation and helping maintain affordability through plenty of supply, while protecting off-arterial residential areas. On-arterial single-family residential (such as Beechnut in my neighborhood of Meyerland) is usually deed restricted, so it's already protected. Update: Chronicle update on Ashby negotiations. Continuing from my last post on the CHF-ULI panel on Houston's future, I'd like to cover some more details from the presentation. I'm going to avoid repeating a lot of the detail in their Powerpoint presentation, such as how the visioning process should work and their other specific recommendations - feel free to review it yourself. You can also read the Chronicle article here. One of the things they verbalized but did not put in the PowerPoint was our list of strengths and needs. Not a lot of surprises here, but good lists nonetheless. I believe they nailed the strengths, and got the needs mostly right, although I might quibble with a few points. For instance, the downtown housing problem is from a lack of demand, not a lack of supply. Most people prefer their own home, townhome, large-scale apartment complex with lots of shared amenities, or a high-rise condo with a view - over a downtown condo facing another building across the street - and a little walkable street life is usually not enough to overcome that preference. For people who do put a very high priority on the pedestrian experience, there seems to be enough residential available downtown to meet that demand. It looks like Discovery Green will spark some more, too. They put a lot of emphasis on a long-term visioning process. Having been through that process with Blueprint Houston, I'm less enthused. It's fun to "envision utopia," but I don't think it necessarily helps us get there all that much. If we could plan our way to utopia, you'd think we'd see more utopian cities in the world - but I don't see too many. Visioning doesn't get into the hard tradeoffs. That's what markets do, as well as the political process. Both citizens and politicians have to make tough decisions on where to prioritize their resources (police? schools? transportation? parks?). The other trap visioning processes tend to fall in are a godlike narcissism, not unlike the video game SimCity. "Yes, I'll make all newcomers live in high-rise apartments downtown, and turn all of the Houston periphery into a giant nature preserve." Uh-huh. At least in the video game, you can get negative feedback on your decisions from the "citizens." Not so much with maps, markers, and stickers. A few criticisms aside, I was impressed overall with the group and most of their insights and recommendations, and I hope their report gets some traction among the key players in our region. Update: Neal Meyer weighs in. The Center For Houston's Future convened a panel of national Urban Land Institute experts this week to look at Houston's current situation and coming growth; and, surprisingly, they recommend we do more of what the Center For Houston's Future does (visioning, scenarios, leadership, etc.). Well, ok, maybe the self-promotion was not so surprising. But they actually had a lot of very interesting things to say. So much I'll probably have to spread the content over several posts. This will just be an introductory overview. If you like, you can review their PowerPoint yourself here. They believe we are well on our way to becoming America's fourth global city in addition to NYC, LA, and Chicago. I was surprised they didn't include the SF Bay Area in their list, but that may have something to do with it being a smaller metro with a small core city and low growth. They list as our competitors as NYC, LA, Chicago, Sydney, London, Paris, Dubai, and Abu Dhabi. H-GAC should competitively award some portion of its transportation funding based on "livability" criteria (i.e. sustainability, walkability, open space, etc. ), as LA, DFW, and Atlanta do. They believe our greatest asset is affordable housing, which attracts the young and educated, and is one of the most intractable problems in competitor cities. They were very opposed to zoning, which is too easy to do badly ("no zoning is better than bad zoning") and would put our greatest asset at risk (see previous point on affordability). They though we should continue to embrace and improve our unique approach to development. They felt Houston should rebrand itself around the key word "opportunity." The speaker even poked mild fun at the archaic 19th-century locomotive on our city seal. Time to join the 21st century. The mayor has used the term "City of Opportunity" forever, and I'm a fan of "Open City of Opportunity," which I think goes beyond branding to our core identity. I'm all for rebranding, and a new city seal to go with it. More detail on our strengths, weaknesses, issues, and recommended actions will have to wait for another post. I did get to ask one question in the Q&A period afterward. They recommended rail to the airports, even though they acknowledged the decentralized, distributed, multi-nodal nature of our city elsewhere in the presentation. I asked if that was really the best use limited resources with only 8% of jobs downtown, IAH 23 miles away, and our focus on an express bus lane network instead of commuter rail. They were still very strongly for it, because "every world-class city has rail to the airport," even though they had just finished telling us to embrace our uniqueness and not get too obsessed with how other cities do things. Update: Chronicle article and part 2 of this post. 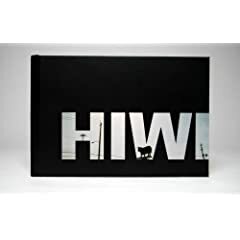 So, I recently received the Houston It's Worth It (HIWI-The Book) book as a gift. I loved the web site, and now I love the book! The pictures are great at capturing the real essence of Houston. But what I'd like to share with you today are some of my favorite quotes from the book - the ones that say as much about our identity as the pictures. "Hot bagels on Sunday, pad thai on Monday, Greek pizza on Tuesday, gnocchi on Wednesday, spring rolls on Thursday, daal on Friday, enchiladas on Saturday...."
"The rain. Large soak-you-to-the-bone rain drops. Fierce, beautiful lightning. It rains so hard, you can barely see. And it rains often enough to humble you, to show what is really powerful in the world, and to remind you of what matters." "The lack of municipal zoning. Where else can you buy a $350,000 home sandwiched in between a chop shop and a seedy nightclub?" "Houston is truly unique. To be successful here, you don't need to be born here, be in a certain family, or belong to the right clubs. In Houston, they throw you a uniform and say, 'OK, show us what you got.'" "If America is a melting pot, I would say Houston is more like a fruit salad. The many cultures here don't blur together; in fact, they retain what's special about them. But it's that they live happily side-by-side with those unique differences that makes our town great." "I've lived in LA, SF, DC, NYC, and Florida, but the nicest people I have ever met are, for some reason I have never understood, right here in Houston." "Houston is a world-class city hidden behind a row of strip malls, like the Scarlet Pimpernel, a hero disguised as an idiot, appreciated by those patient enough to look behind the facade, to take the time to learn to love it." "The traffic, the aggressive weather, and the dominant insect population keep all the wussies out of our hair." "Because there is no other place in the world where you can drive down a major road, with ditches on either side, pass a honky tonk that could have blown in from the West Texas plains, while off in the distance is the soaring, sparkling masterpiece of a tower by Philip Johnson. Zoning-schmoning. There is a kind of urban anarchy here that gives the city a real punch." "Because at the end of the day you actually have some money left over with which to enjoy living in a big city." And my #1 favorite quote from the book: "Because it's my home. It's in my blood and my lungs. Because I get lonely for the mercurial chaos and sprawl when I travel to sad, soulless, cookie-cutter towns. Everyone has a chance here; anyone can fit in and find a place of their own. No city in this country offers more diversity and opportunity alongside such friendliness and hospitality as Houston does." Those are my favorites. If you have your own, by all means add them to the comments.